Storytelling + Research = LoiS: Hug Those Trees! I've seen Michigan blizzards in mid-April, right now spring looks like it's here to stay, but there's all manner of cold west of us, so I'll just join with T.S.Eliot in saying "April is the cruelest month"...although suggest looking at this interesting discussion of its meaning, including the suggestion by Chris Day, "April is the cruellest month because the life and colour of spring throws one's depression into stark relief and forces painful memories to surface." Let's face it, April and Spring are both fickle. There's a way to make it better . . . plant trees, enjoy or create parks -- I get some of my best thoughts as my Malamutt (a wonderful blend of Husky and Malamute) leads me down trails, or do something to help our planet. Maybe that's why there are three special celebrations in April: National Parks Week (this year from April 16 to the 24th) celebrating our National Parks; Earth Day on April 22 (but look below for a local celebration on the 24th), and Arbor Day nationally on the last Friday in April (but some states choose different dates to match the best planting days). Notice each of those have offiffiffic'al links? My husband says April celebrations fall too early for Michigan, but I say that's because it's time to look ahead. Anybody planting trees, especially baby trees, is looking to the future. That's how Arbor Day started as J.Sterling Morton -- who was originally a Michigander, along with his wife, began Arbor Day after seeing the need for trees to encourage his fellow Nebraska pioneers to plant trees for windbreaks, fuel, building materials, and shade on the prairie. You'd never know his adopted state was once a treeless plain thanks to him. 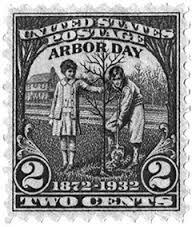 That initial planting of more than a million trees on the first Arbor Day attracted the attention of other states as they created their own Arbor Days -- especially when Morton became the U.S. Secretary of Agriculture. Go to the Arbor Day foundation's website given above and become a member to get an assortment of ten free baby trees and also shop nearly 200 trees and shrubs there at the lowest prices available. 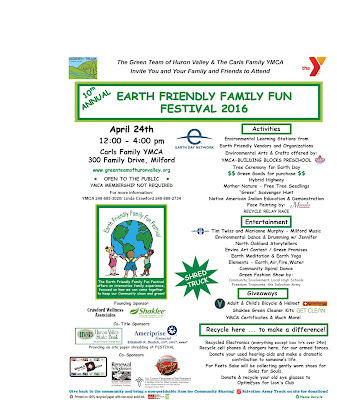 For more free baby trees, if in metro Detroit, come to this Earth Day celebration in Milford. "Mother Earth" gladly will give you some. Story lovers can also hear North Oakland County Storytellers in the Aerobics Room from 12:30-1 p.m. and again from 3-3:30, with possible busking of short stories either outside, weather permitting, or otherwise inside. 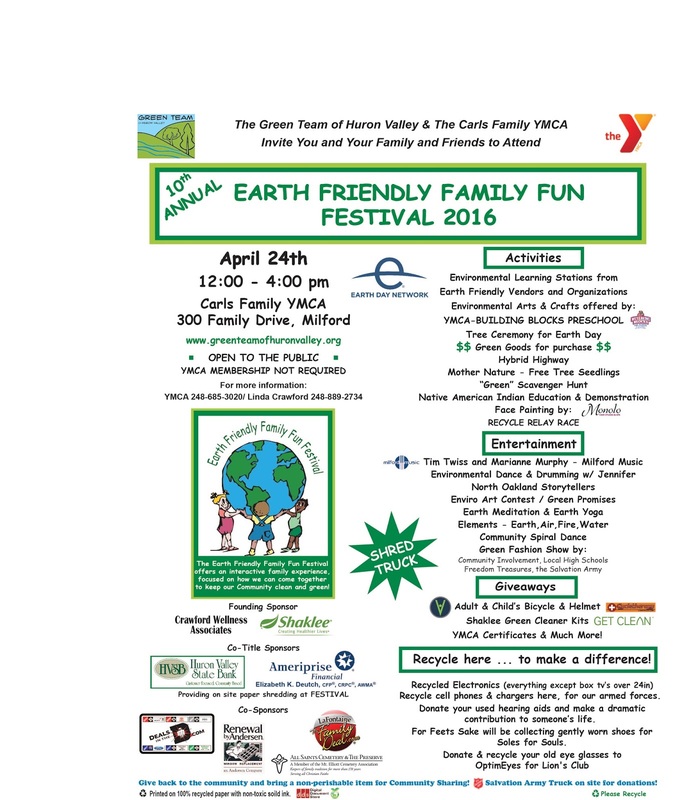 The Carls Family YMCA location moves you into a building overflowing with earth-related activities, and removes the worry of fickle April weather. I love being a part of it every year if my schedule permits. Try it, you may become similarly inclined to return. If April brings April Showers and April Showers bring May Flowers, what do Mayflowers bring? Hope you make a pilgrimage of your own, wherever you might be, to Hug Those Trees, Plant Those Trees, and start in April to help this planet become greener in oh so many ways...after all, so far it's the only planet we have. It may be after National Parks Week, but that doesn't mean you can't still enjoy them for FREE or greatly reduced cost. Do you know about the MAP program available from your library? Here's a link to a Detroit Free Press article that tells you about FREE or reduced cost tickets to our state's National Parks and oh so many more attractions -- enjoy!